2008 August was when I sang for this brilliant composer called Mithoon. I had met him for the first time then. After a few phone calls, Mithoon and his wonderful, illustrious father Sri Naresh Sharma were here in Chennai. After speaking with them I sang the song which turned out to be quite a long session. There were technical difficulties, power cuts that lasted more than a couple of hours and the recording experience was absolutely beautiful and I happened to blog this just after I came back home. I still remember the words forming in my mind while I was coming back. When I heard the track of this song for the first time at the studio I had to fight tears. It was soul stirring to say the least and it really hit me. Unfortunately for Mithoon it turned out to be quite embarrassing. He turned and asked, "Do you have a cold?" Would you be able to sing today? or something like that.. And I honestly said the song is beautiful and it really moved me. Later he told me that he found that very strange, for someone he was coming across for the first time and then almost crying to his song. Mithoon came across as a highly spiritually advanced human being and he should have been a highly precocious child. Small Wonder though. If I am not mistaken he started composing for films at 17. He should be about 23 now. Needless to say after I got back home I googled him and heard his music and there began a great admiration for his music. Soulful and divine I thought, his Maula Mere, Tere Bin and the songs in his album Tu Hi Mere Rab Ki Tarha Hai. Here is the trailer of Lamhaa featuring the song. The audio releases second week of June. that was beautiful piece of music , chinmayi! the promo looks great too.. Bipasha Basu is one of my favs.. But her best(according to me) is Shob Choritro Kalponik- A Rituporno Ghosh Movie! Can't wait to listen to the full song! Lovely track. Kudos to Mithoon for bringing out a great tune. You are awesome. I listen to ur songs as soon as u mention here in ur blog, these tracks were awesome. Another addition of ur song in my ipod. :). Expect you to release an album soon. Best of luck for your near future !!!!! My god! !seein ur manadhodu mano last nite i googled to find madhno and found this song is one helluva melody!! !was left speechless..well tears spoke...got addicted to madhno mashuko dilbaro...god bless!! !such a romantic song wit simply superb romantic lyrics!!wow!! 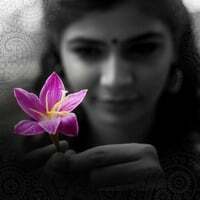 !GOD BLESS!music is true bliss chinmayi! !thanks for mentionin this last nite..else i wud ve missed this! !thanks..still in tears! !thanks chinmayi!